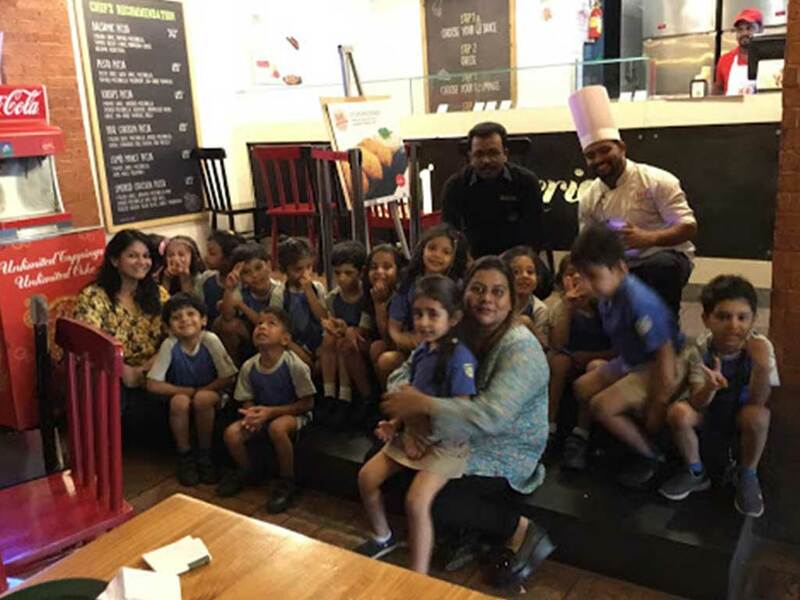 Our Jr. Kg learners visited 1441 Pizzeria to further enhance their knowledge of Natural to Processed as a part of their thematic learning concept .This field trip was planned to give them a hands-on experience of how their favourite food is made from the raw materials available and the process involved in it. 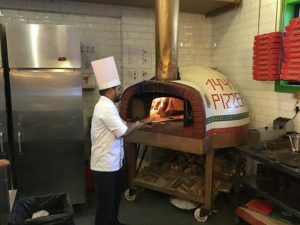 They saw how the dough is rolled which is made from wheat flour and made as a base to the pizza and then topped it themselves as per their choice and enjoyed seeing it get baked in the big oven. 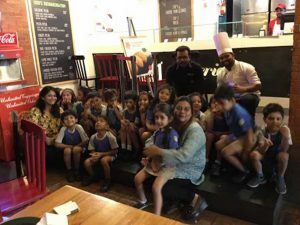 The children enjoyed the field trip as at the end of the knowledge session they were treated to their favourite food- pizza!